hello there. it feels like it’s been a while since i’ve been around in the blogosphere, as i haven’t touched this space in a few weeks. i was off wandering in countries 8-9 hrs ahead of my normal time zone, eating all the things and trying to not be that much of a trashy american tourist. and this coconut rice bowl with cumin broccoli slaw and quick pickles feels appropriate- i’ve been craving asian food something fierce (which may or may not have led to my particular appreciation for dishoom, or maybe it’s a great restaurant period). the name for this one was hard. calling it an asian mediterranean bowl sounds weird and also kind of vague. there’s a bunch of little things that would make the title impossible to remember or use if i referenced all of them, and i was also kind of drawn to calling it the, “i like lots of mini salads” bowl, but couldn’t get behind that either. the og inspiration was the (too) plainly named “veggie bowl” from laughing planet cafe, which i’m not sure how i stumbled across because none of their locations are in california. most of them are in oregon, which I’ve spent a collective three days in throughout my life, including that time i was stuck in sloppy, muddy astoria during a cruise stop. and tbh, i ended up drifting a good distance away from their veggie bowl anyways, at least by listing of the components. now that i’ve rambled enough about how this coconut rice bowl with cumin broccoli slaw came about, let me ramble further. the rice is a little creamy and a little coconut-y, making it almost decadent. there’s so much crunchy veg that you won’t get bored even as you’re nearing the last bite of the bowl. 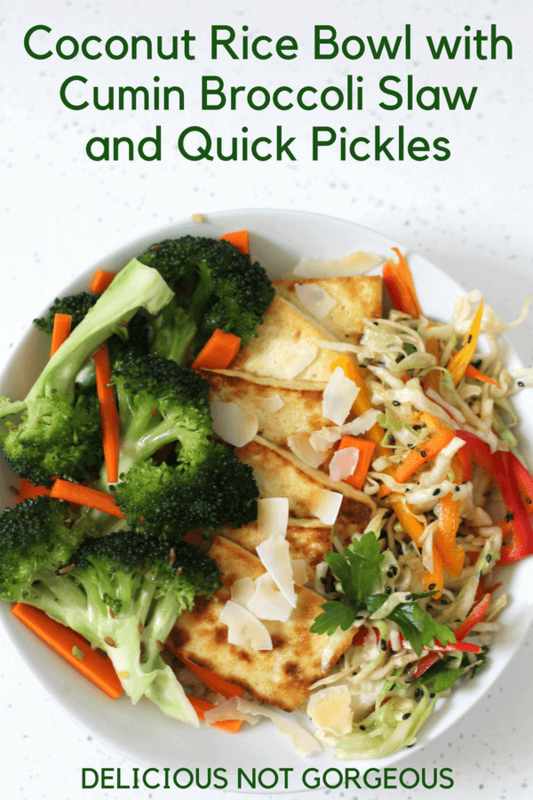 there’s sweet/sour quick pickles, savory/lemon-y/cumin-y broccoli that’s so addictive i could eat it straight even though i am normally staunchly anti-raw broccoli, and a sesame-y/lime-y cabbage slaw. GIVE ME ALL THE SALAD. the tofu is crispy on the outside and creamy on the inside, and did i mention that serving this with a generous amount of chili garlic sauce is a fantastic idea? happy lunching. 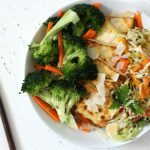 This coconut rice bowl with cumin broccoli slaw and quick pickles is a hearty rice bowl with tons of mini salads, hearty enough even for dinner. Cook the brown rice with the coconut milk, salt and 3 cups water using your preferred method (team rice cooker over here). In a large bowl, mix the vinegar and salt. Add the broccoli and toss. In a small bowl, combine the oil, garlic and cumin. Microwave for 1 minute; it should be fragrant. Stir in the sesame oil. Alternatively, you can do this on the stovetop, but why? Pour the oil over the broccoli and toss well. Let marinate for at least 1 hour. Combine everything in a small bowl. Let marinate for 10-15 minutes. Cut the tofu in half crosswise, then cut the tofu into 1/2" thick slices. Salt both sides of the tofu lightly. In a large skillet over medium-high heat, heat some oil. Add the tofu and cook in batches until golden-brown on both sides. 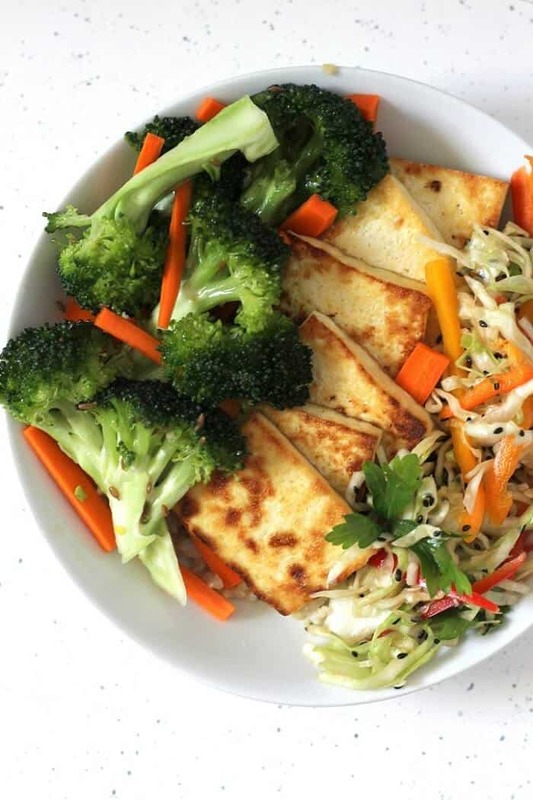 Divide the rice, cumin broccoli slaw, pan-fried tofu, quick pickles and cilantro-lime cabbage slaw between 4 bowls. Sprinkle with the coconut. Serve warm or at room temperature. Broccoli slaw from Melissa Clark, bowl overall inspired by Laughing Planet Cafe. This recipe is a bit of a beast in terms of how many components there are, but they're more time intensive than hard. You can make some things in advance, or scale back on how many vegetable sides you'd like. You can omit the fish sauce in the cilantro-lime cabbage slaw if you want to keep this vegan. You may need to add more soy sauce or salt. This looks mouth-watering to me!! I could eat many bowlfuls of this!! YUM!!!!! Pinning for later for sure!! thanks, kim! i stopped eating bowlfuls and would just sneak into the fridge to pluck a piece of broccoli out for snacking lol. Wow!! Sounds like you have been having some fun adventures! This bowl of salads looks yummy! So many different flavors and textures! Im in love with every element of this bowl! This is my kind of meal. thanks! and ooooh halloumi would be awesome. i feel like it has a similar texture to tofu, but it’s so flavorful and wonderfully salty, that it’d be a great sub. I want to be wondering in countries too!! I hope you are having a blast! 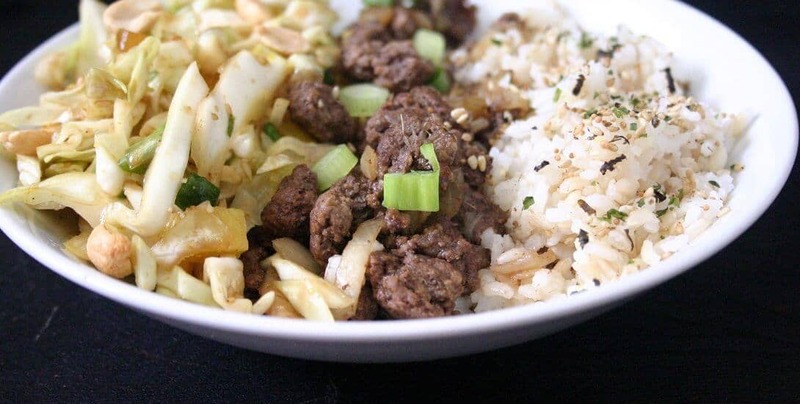 This rice bowl is so full of flavors and textures. I can eat it again and again without getting tired of it! i’m back home now and thoroughly jetlagged (; only been up since 4am today! the travelling was fun though. Just seen this on instagram and it looks so good! Where were you travelling? I’ve been off on vacation too and slowly trying to get back to blogging regularly. Where did you go travelling? Anyway, this rice bowl is jammed packed with flavour. I love coconut rice! Coconut rice is pretty much the only kind of rice I want to eat 😉 This bowl looks so good, Heather! sameeeee (: coconut rice all day everyday! I feel like if I made this with cauliflower rice, it would be equally as delicious!!! It’s pretty cool that you’ve been traveling! Hope you’re enjoying your time out there. This coconut rice bowl looks delicious! 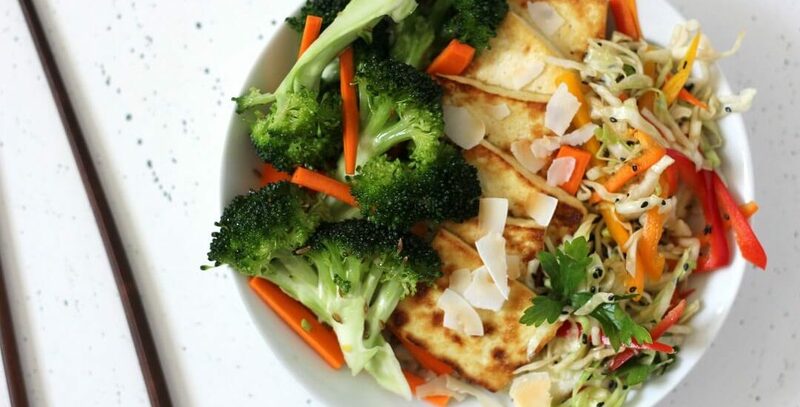 Love that it’s veggie-based and on the healthier side! This looks so so gooood! I love that it has tofu. Very healthy and I’m sure delicious! Dishoom is a favourite of mine. This rice bowl sounds delicious. I always think of coconut rice as being a treat but really, it should be a staple. WOW! This is fun. I could eat it every day!! !